December | 2007 | tasty treats! the monks’ meal, originally uploaded by super charz. At the Buddhapadipa temple, people bring food as an offering to the monks. It’s then prepared and cooked by the same people, and served to the monks after a ritual blessing. The monks all sit down to eat, and after they’re finished they say a prayer of thanks and then everyone else gets to eat (basically their leftovers, but then that’s why they make SO much food)! 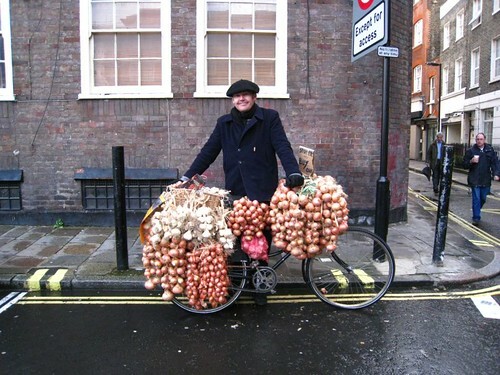 marylebone onion seller!, originally uploaded by super charz.